When it comes to redecorating any type of domestic space, one aspect which receives plenty of attention is the inclusion of different furniture and appliances. Depending on the purpose of the room, these could include television sets, stereos, custom cabinets, computers, inter-changeable lighting, as well as tables and chairs, among many others. In the excitement of being able to put together a room that stands out, some minor yet very important details tend to receive less focus. Manual valves must be turned off and on by hand, according to the desired temperature in the room. Turning them on only part-way will allow some hot water into the radiator, allowing for fine temperature adjustments. Some manual valves include a metal ball within the valve to control flow when the valve is turned all the way on. These are called free ball valves. To ensure that valves with the best look and desired functionality are selected, property owners should order supplies from reputable suppliers such as A.L.B. Industrial Supplies Inc., which delivers its products anywhere in the country. Products on offer include Spirax Sarco radiator valves, durable Mepco traps, and more. 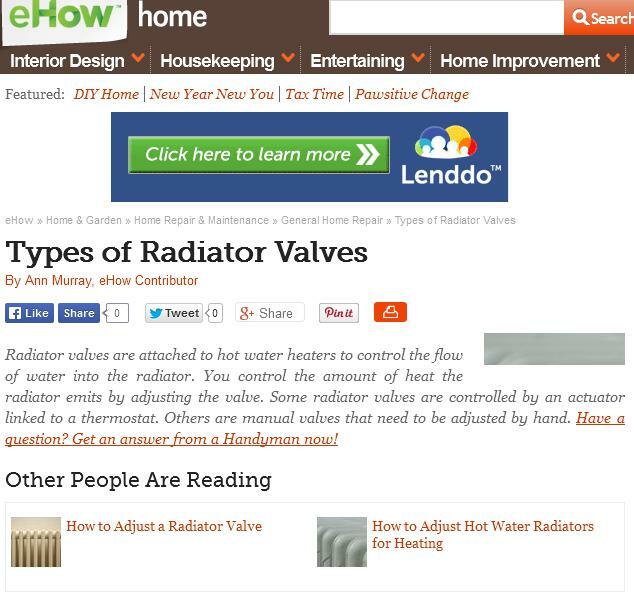 There are plenty of radiator valves for interior designers and homeowners to choose from. What’s vital is that the chosen radiator valves benefit the people who will be using these radiators. Manufacturers of Mepco valves, and similar components, offer steam traps and hydronic products that are not only designed to complement the interior of rooms, but also provide enhanced functionality.